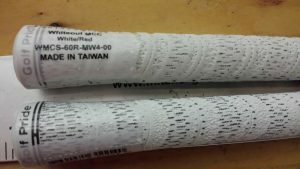 Not only are there counterfeit golf clubs but there are also counterfeit golf grips. 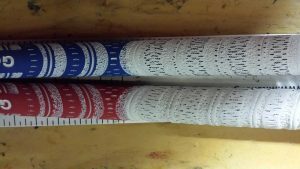 A customer arrived yesterday with some new grips to be fitted, and on an initial glance, they looked like standard Golf Pride Multicompound whiteout grips. However, as soon as they were touched it was apparent there was something not quite right about them. The grip felt too rubbery. The ridges along the grip were much more pronounced. The font on the grip sticker was different. The grip was longer than the genuine one. The thickness of the grip was variable. The writing on the top of the grip was just a little different too. Suspect! 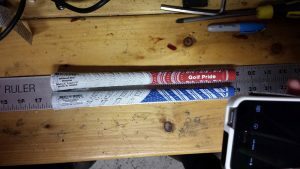 Fake Golf Pride Grips!!! When the grip was fitted to the golf club. The grip didn’t quite fit the shaft well either, and the top of the grip was slightly loose at the top of the club. I can only imagine that the grips will become utter rubbish playing golf in the rain. “Buyer beware! 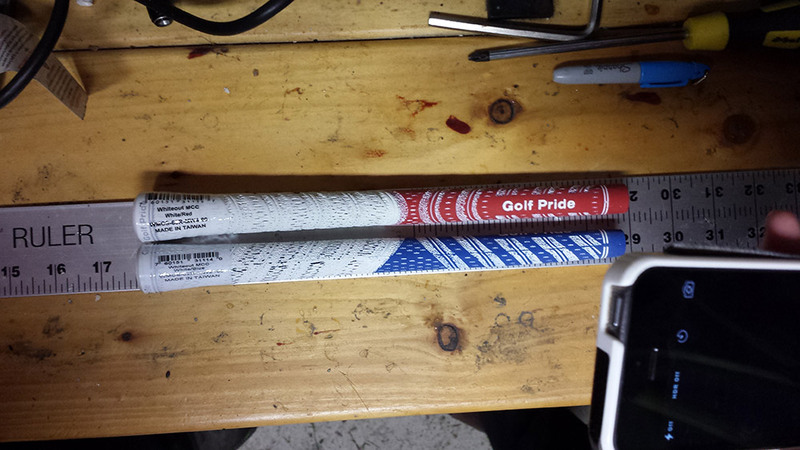 Watch out for the Fake Golf Pride grips”. From the photos, I hope you can see the differences. The blue whiteout is genuine. The red is the counterfeit grip. Remember if the deal is too good to be true it’s a red flag, especially if you are purchasing from an Internet website or sales contact. 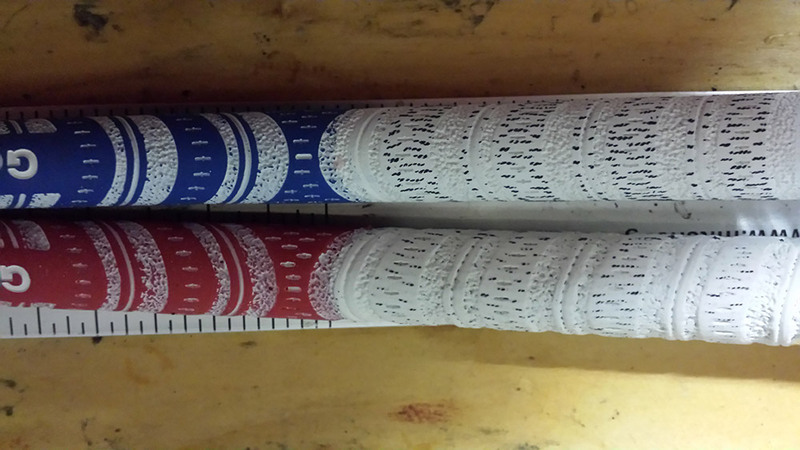 If you are in doubt, try and get one grip as a sample. Then take that grip to trusted golf repairs expert for his/her verification. I strongly suggest to view Golf prides website, you can zoom in on the grips, and this can help you make a decision.